Since the late 19th century and the early 20th century, gas stoves had become commercialized to the point that you would find them in most homes. In fact, they continue to be one of the mainstays of any household kitchen with other forms of cook tops, from electric to induction being introduced only in the last few years. If you are planning to move to a new residence, then you would definitely need to consider whether to continue with your gas stove or go in for the sleeker version, an induction stove. 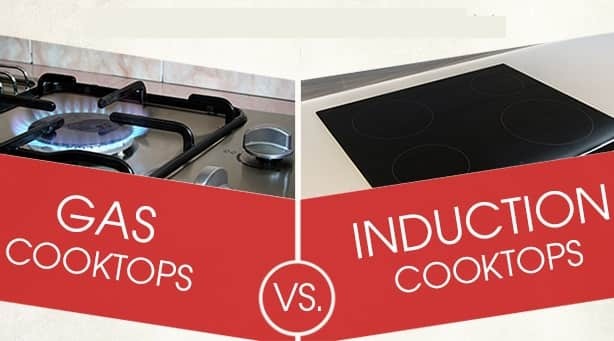 While the induction cooker does come with more than a few advantages other than its sleek appearance, you may still want to weigh in all the pros and cons of a gas stove, before junking it altogether. Does not use electricity: One of the advantages of a gas stove over other variants such as induction cook top is that it does not use any electricity. The end result is that you do not have to be worried about your utility bills going up more, as a result of using your gas stove. Moreover, you can continue to cook on your gas stove even when the power goes out, which makes for one efficient cook top that’s both dependable and reliable, as long as you have the requisite amount of fuel in the cylinder (attached to the stove). Lower heat emission: One of the great things about a gas stove is that it is engineered to be heat efficient. That is why it does not emit much heat around, when switched on and what’s more, it cools down immediately on being turned off. Whereas an induction cook top heats the immediate environment as well, which can make standing next to it a tad uncomfortable; gas stoves on the other hand come with lower heat emission and are easier to cook on. Speed: While most forms of cook top variants from gas, to electric and even induction are fast, the gas stove is slightly faster. It primarily uses direct transfer of heat and cooks the food uniformly. What’s more, unlike an induction cook top where you would have to wait for the cooker to warm up, you do not have to do the same with a gas stove. In fact, you can start using it right away, to cook your favorite food from the moment you turn it on. Accurate cooking temperature: One of the biggest advantages with a gas stove is that you can control the cooking temperature accurately and easily at that. For example, let’s say that you want to sauté some onions, you can turn the gas stove on, adjust the flame to low, and sauté it to perfection. This may be a little harder to carry out with an induction cook top as it requires some time to change to a different temperature. Installation: let’s start with the basics; each time you run out of fuel you will have to purchase a new gas cylinder. And you will need a professional to install the said cylinder, to check all the fittings so as to make sure that it is safe to cook on. This can be a tad laborious and nerve wrecking at times. Messy: Gas stoves tend to be a tad messy for they come with metal grates which are positioned right over the burners. And the vessel is placed on top of the burners, and when the food spills, which it inevitably does, it falls right on the metal grate and sometimes, on the burner as well. What this translates to is that cooking with a gas stove can get a tad messy which requires frequent clean up and maintenance. Cost: the induction cook top works out to a lesser rate than a gas stove, moreover, with an induction cook top you would not be utilizing any fuel other than electricity to power it up. Gas stoves are more expensive and the fuel used, is expensive as well. High risk: You would primarily be using liquefied petroleum gas, stored in a cylinder that is attached to your gas stove. And as you turn on the cylinder, it flows out through a tube connected to the gas stove, which you power up by turning it on. Once you do, the gas combusts and you can resume your cooking. However, if you had not installed the cylinder properly or if any of the fittings have come loose, then chances are that your cylinder may leak gas. LPG is toxic and highly dangerous; once it leaks, turning on any device or even switching the power on can cause the cylinder to explode. That’s why it is important that you call in the right professionals to help install a new cylinder and to check and see if all the fittings on your stove happen to be ‘perfect’. 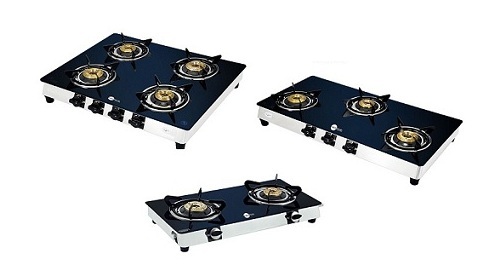 These are some of the advantages and disadvantages of a gas cook top stove; it is essential that you use qualified professionals for installation and for checking all the fittings on your gas stove. Also do remember to switch off your stove and to ‘turn off’ the cylinder after you have done with cooking for the rest of the day.